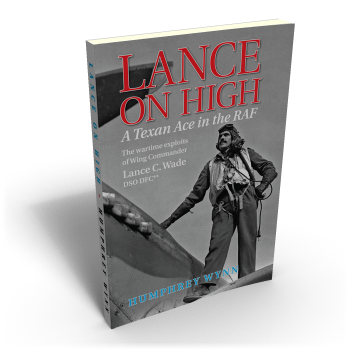 This book is a tribute to the remarkable achievements of Texan pilot Lance C. Wade, who served in the Royal Air Force during World War Two, flying Hurricanes and Spitfires in the Desert War. He clocked up an impressive tally of 25 aerial victories, making him one of the most successful Allied fighter pilots of the war. Wade volunteered to join the RAF in 1941, before the United States was officially involved in the hostilities and later turned down the opportunity to switch to the USAF after the USA had joined the war, preferring to continue to fly with his British colleagues. He flew with 33 and 145 Squadrons of the Desert Air Force (DAF), rising in rank from Pilot Officer to Wing Commander, earning the respect and admiration of his colleagues and superiors, along with a DFC with two bars and a DSO for his prowess as a pilot. A charismatic and popular character, Wade was a gifted aviator and an excellent shot, making him a fearsome adversary for the pilots of the Luftwaffe and Regina Aeronautica, against whom he pitted his skills in the skies above the Western Desert and Mediterranean coast of Egypt. He was never defeated in battle, although he did have a number of close shaves and lucky escapes, all of which are described in the course of the narrative. Tragically, he was to lose his life in a flying accident in 1944, soon after being promoted to Wing Commander, a devastating loss to his squadron and to the RAF, which he had served with such distinction. This book is a respectful record of his many remarkable exploits and an affectionate tribute to a true World War Two fighter ace. 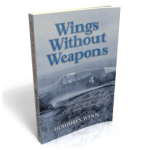 A former editor of Flight magazine, journalist and author Humphrey Wynn was a well respected authority on aviation matters for over 60 years, during which time he wrote many books and thousands of articles on a wide variety of aviation subjects. Sadly, this book was to be his last; it was published shortly before his death in December 2009.